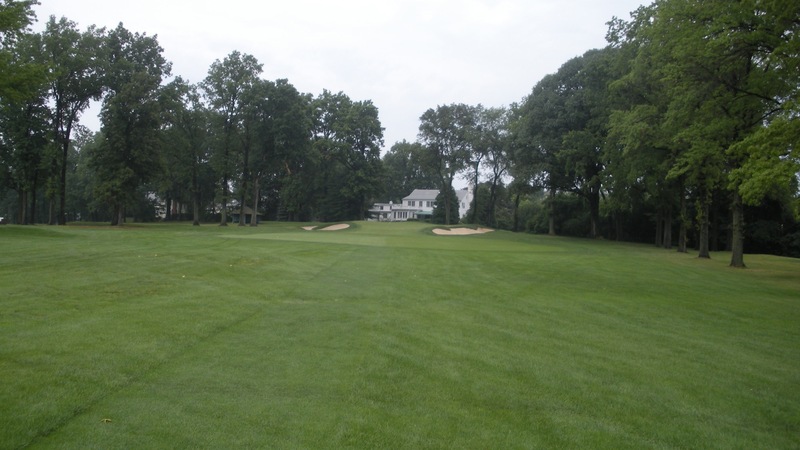 Winged Foot Golf Club in Mamaroneck, NY is a serious golf club. To say that these guys like golf is to say that the Pope likes Catholicism. 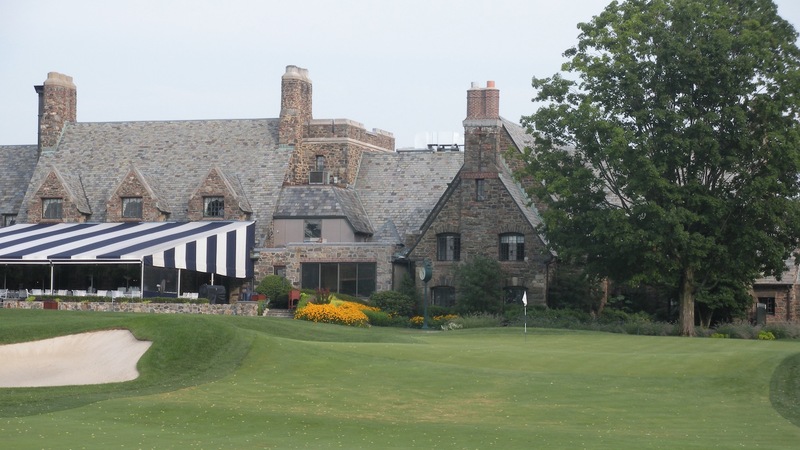 Winged Foot has the distinct privilege of being the only club to have both of it’s courses (West and East) listed in the Top 100. There have been five U.S. Opens contested over the West Course which have produced the five champions Bobby Jones, Bill Casper, Hale Irwin, Fuzzy Zoeller and Geoff Ogilvy. The PGA Championship has been held here once which was won by Davis Love III. On the Amateur front there have been two U.S. Amateurs and a Walker Cup played here as well. The trees down the left hand side of the 18th hole were the scene of the infamous Phil Mickleson meltdown during the 72nd hole of the 2006 U.S. Open. You could say there is a bit of history here. My friend Jay, with whom I played Shinnecock Hills with last year, arranged for us to play Winged Foot’s West Course today. All morning the skies looked ominous and rain was falling sporadically, but we remained optimistic that we would get the round in. 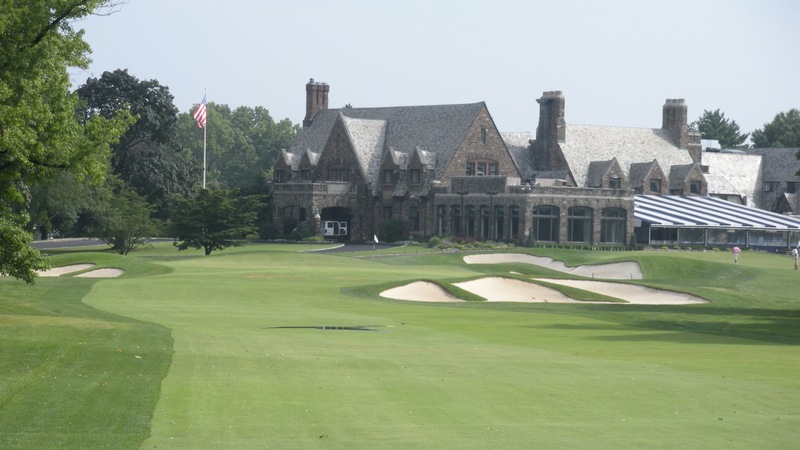 Pulling into Winged Foot is a great feeling for any golfer. After driving through the gates and down a tree lined drive you see what must be the most beautiful clubhouse in all of golf. The magnificent stone structure with its slate roof lets you know that you are somewhere special and makes a player stand a little straighter and walk a little taller. We met our host Bill in the locker room around 11:30 and went to the grill room for lunch. 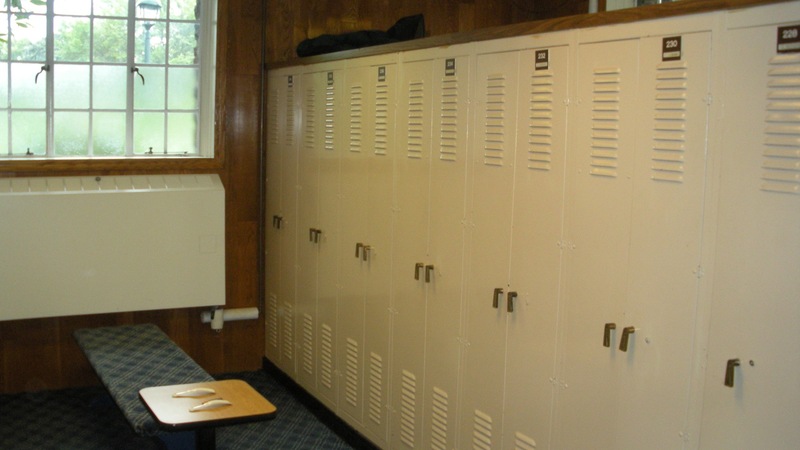 Below is a picture of the locker room which has a great feel to it. It has the classic old time look. As we sat at our table having lunch the rain started to sprinkle. Then it started to really come down. Then it started to absolutely pour down. As we watched the rain coming down sideways in sheets we decided that it was probably best to call it off and reschedule for another time. Rather than call the day a total wash we decided to stay and have a couple of beers and enjoy the grill room. Bill is a lifelong member and gave us some great history on the club and a great insight to what Winged Foot is all about. This place breathes golf. The members love to play golf, watch golf and talk golf. The camaraderie amongst the membership was very apparent as numerous people stopped by our table to greet Bill and talk about their golf games. For a such an elite private club there was not the slightest air of pretension to the place. The club had a really great and welcoming feel to it. After a couple of hours hanging out in the grill room the rain actually stopped. We decided to give it a try and see if the weather would hold for us. We threw a couple of umbrellas in the bag and hit the course. Considering that we received 7 inches of rain in an hour and a half the course had drained spectacularly well. There was some standing water in a few places, but not really anywhere that it would come into play. Winged Foot doesn’t do tee times so when we arrived at the first tee Bill placed a ball in line behind the tee marker. When our ball reach first in line it was our turn to tee off. I’m usually not overly intimidated by a course on the first tee, but here with 15-20 guys hanging around the first tee waiting to go off I was a little jittery as I hit my opening tee shot. The first hole from the tees we played is a tough 423 yard dogleg left. Not an easy way to get started after the rain, drinking a few beers and with a gallery watching! All three of us got a ball in play and we were on our way. I never really settled down and got comfortable with my game, so I didn’t break the camera out much for this round. Below are the couple of photos that I did take. This photo below is the 3rd hole which is a par 3 playing 185 yards from the tees we played. It felt like it played a lot longer than those 185 yards. Here is another view of the 3rd green taken from the 4th tee box. 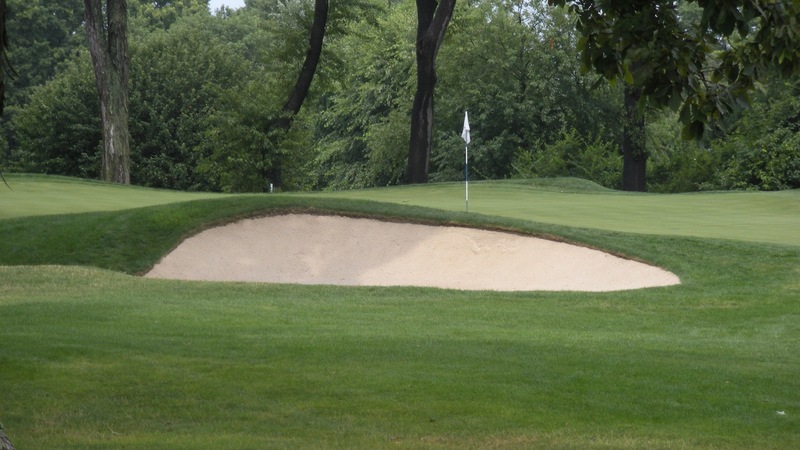 The real beauty of the green complexes at Winged Foot is the bunkering. This photo is but a hint at how deep some of the bunkers are on this course. The next photo below is of the 7th hole which is a par 3 playing 151 yards from the tees we played. Note the way the green is pushed up above the ground level. This is one of Tillinghast’s hallmarks at Winged Foot. The 9th hole which is a 462 yard par 5 from the tees we played is certainly reachable in 2 if you hit a good drive. More of those Tillinghast bunkers guard this green, so if you do go for it in 2 you had better be on target or you’ll be pitching out of the beach. Not only is it a great hole, but the view from the 9th tee box of the green, bunkers and the clubhouse is pretty spectacular. Below is a photo take from about 150 yards out from the green. I loved the 12th hole which is the first par 5 on the back nine. It is a dogleg left to an uphill approach playing 510 yards from the white tees. Incidentally the shortest tees available on the West course play 6,600 yards. Those early members were not kidding when they asked Tillinghast for a “man’s sized course”. 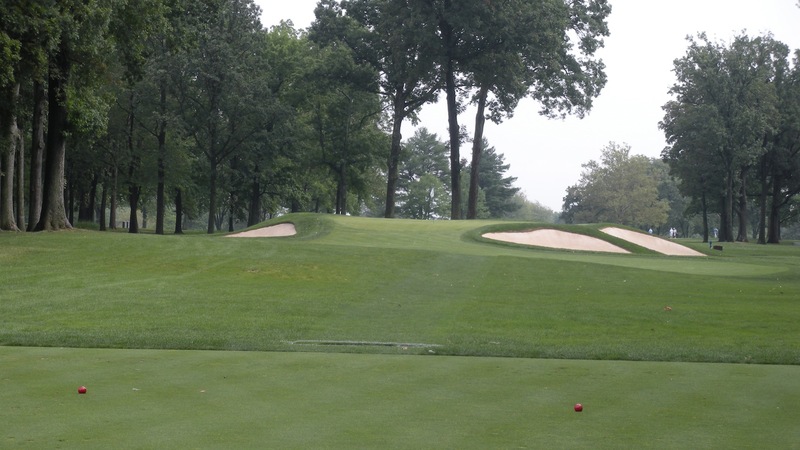 There is no quarter given to the senior members at Winged Foot who might benefit from a shorter set of tees as they start to lose their length. 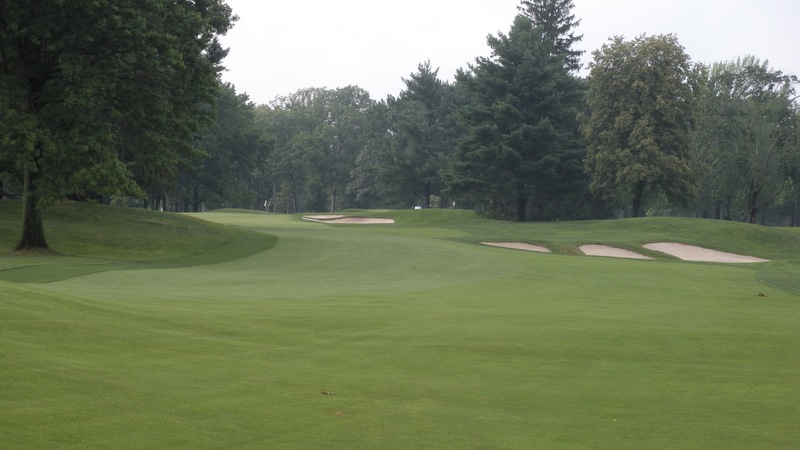 Of course you can also argue that with the shortest tees playing 6,600 yards the course forces all players to keep their game as sharp as possible which certainly seems to fit with the culture at Winged Foot. Below is a photo of the green from the 409 yard 18th hole and the clubhouse in the background. This of course was the scene of Geoff Ogilvy’s dramatic up and down at the 2006 U.S. Open that ended up clinching the win for him as Mickelson and Montgomerie both imploded on the 18th hole. A great finishing hole and a beautiful green complex with the clubhouse as the backdrop. 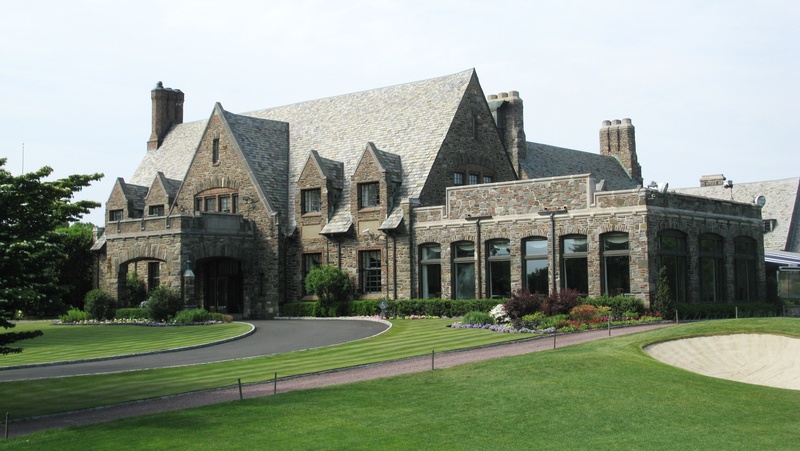 Winged Foot Golf Club is one of America’s great old clubs. The membership consists of serious golfers who hold the game in the utmost of reverence. The West Course is no doubt one of Tillinghast’s finest works and the club has done a magnificent job of keeping this jewel looking its best. Bill invited us back to play the East Course next year and I can already hardly wait. awesome. looking forward to the PV review too….! Great writeup. Keep up the great work! I am a third generation member and I want to thank you for the nice write up. I must also tell you that I don’t think there is a member at the club who takes it for granted. It is a privilege and we recognize that to a man. We do our best to keep it in shape for people like you to enjoy! I was fortunate to play WF this week and your description is very accurate. Each member seems to know one another and humbled to be there as well. You would imagine playing long shots into greens all day would get boring but it doesn’t. I can honestly say under normal conditions a 10 handicap could not break “100” from the tips. i caddied at winged foot for a long time. 1970-1980. including the 1st USGA Senior Open Championship. all the 10 hdcp’s can break 100 from the tips. that is why they are 10’s! they break 80 on a good day, but in the 80’s all summer long. its fairways, greens. it’s that simple. also(do not tell anyone) miss short all day long, up and down 1/2 the time, 81. duh! yes, you were fortunate to play WF.